If you happen to find yourself in Amman with only a day to explore, here is a tight schedule that packs in as much as you can see of this extraordinary town during a stopover. Be warned: I stayed in Amman for 2 days and loved it so much that I had to return – it’s that kind of place. 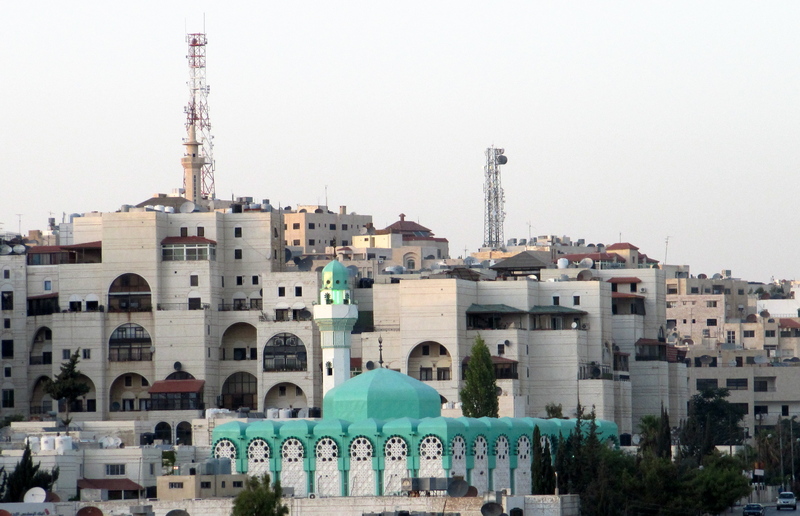 Amman is the capital of Jordan, the centre of business and culture. Although the modern city is less than 100 years old, archaeological digs show that it was inhabited as early as 10,000 BC. Persians, Macedonians and Romans are but a few of the nations that ruled the city at some point in time and they have left a trail of ancient architecture behind to mark their presence in this city. Luxurious: for those who like to splurge, The Four Seasons Amman is in the best location in town on the 5th Circle with a sumptuous afternoon tea in The Foyer Lounge. The Grand Hyatt is Amman’s most elegant hotel with a minimalist design yet all the bells and whistles of a first-class hotel: a stunning terrace memorable breakfast and even a museum. Both hotels are conveniently close to shops. Comfortable: Le Meridien is a comfortable, sizeable hotel in the central Shmeisani district, close to all the attractions and within walking distance of shops and restaurants. It’s a bit old and tired these days, but it was once quite opulent. Still, Le Meridien offers all the creature comforts you need including an inviting pool, an generous breakfast and – at long last – free wifi. Chic Boutique: Hisham Hotel is one of Amman’s few boutique options. The spick and span rooms have tiled floors and comfortable beds. Hisham has a Greek-style Ouzo garden bar/restaurant, a gastro pub and rooftop bar and is a refreshing change from the usual hotel chains. There a several sites that are worth seeing in Amman, but if yours is a fleeting visit, it’s best to start of with the most celebrated and unique places. Start off by heading to the Roman Theatre – in Downtown, it’s in the middle of all the action. This sizeable structure has a capacity of 6000 spectators. This site is a relic from the times when Amman was the Roman city of Philadelphia. The theatre was built in the 2nd century AD and is in remarkable condition after its restoration. The best time to take photos is in the morning, so it is best to start your day here. The Roman Theatre is in between the Museum of Popular Traditions – to the left as you exit the theatre – and the Amman Folklore Museum to the right. Both are small, the entry fee is included in the 1 Jordanian Dinar ($1.45) and they both have excellent displays of traditional Jordanian costumes, Jewellery, musical instruments and handicrafts. It shouldn’t take more than 45 minutes to see both of them. Open 9:00 ~ 17:00. If you walk uphill for a little while, on one of the 7 hills the city originally was built on, you’ll find the Citadel. A national historical site that endured the test of time, and evidence that Amman knew civilization centuries and centuries ago, making it one of the oldest continuously inhabited places in the world. The Temple of Hercules and The Ummayad Mosque lie there, two magnificent structures of two different eras. While the regimes change, leaving only reminders of their existence, Amman remains a living city. Take a walk down Rainbow Street – an enticing road of the 1st circle lined with old buildings housing trendy cafes, restaurants, galleries and bookshops. This is just the place for lunch or a coffee: a falafel sandwich for $1 or an extravagant Jordanian feast at Sufra, which serves high quality local food in a beautifully restored villa. The rooftop terrace is open during the warmer months. Dinner for two is around $50, be careful not to over order. The menu includes an outstanding mezze and Mansaf, a local lamb specialty. There are many other impressive places to eat on Rainbow Street. Be aware that some places do not serve alcohol. During the Summer months a famous outdoor market (Souk in Arabic) called Jara Souk opens on Fridays off Rainbow Street. 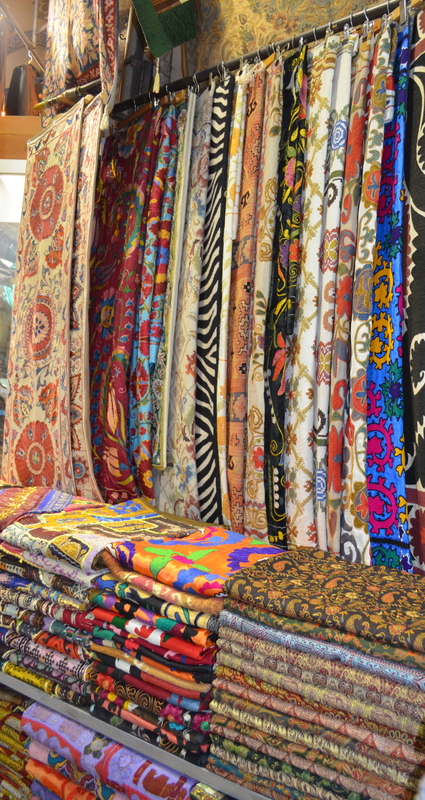 Jara Souk is known for its antiques, souvenirs and local, hand-made merchandise. You will also find sweets, cold smoothies or fruit drinks, quilts, sheesha pipes and glassware. Jara Souk is closed during the month of Ramadan. Close to Rainbow Street is the Jordan River Foundation Showroom for handcrafted dresses, shawls and even jewelry that are inspired by the colors of Jordan’s nature, as well as Arabic calligraphy, which are often made by ladies from rural communities, it is worth a visit and it is a great way to support local trade. For dessert, try one of the best sweets in Jordan: kanafeh. A few steps from Al Quds, you’ll find the best kanafeh shop in town, Habeebah! Tantalize your taste buds with the cheese pastry soaked in sweet syrup flavoured with rose or orange blossom that is sprinkled with crushed pistachios on top. 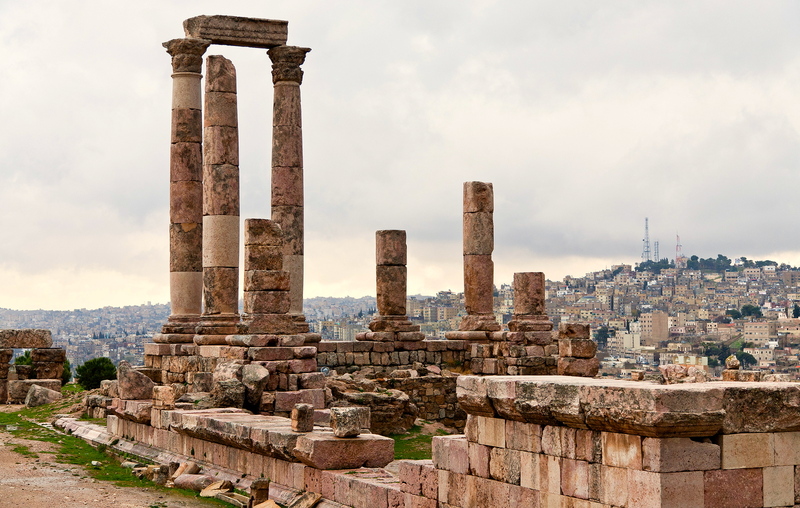 The best time to visit Amman is undoubtably between March and May, the brief Spring season when it’s warm but not scorching – it can still get chilly in the evenings.